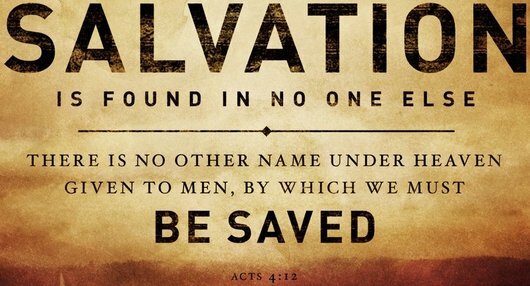 Faith in Jesus Christ as the Savior is the only way of salvation. The message of the Bible is abundantly clear. We have all sinned against God (Romans 3:23). Because of our sin, we deserve to be eternally separated from God (Romans 6:23). Because of His love for us (John 3:16), God took on human form, died in our place and was resurrected. In doing so, He took the punishment that we deserve (Romans 5:8; 2 Corinthians 5:21). God promises forgiveness of sins and eternal life in heaven to all who receive, by grace through faith, Jesus Christ as Savior (John 1:12; 3:16; 5:24; Acts 16:31). If you desire to receive Christ as your savior, please click here.